Miguel de Cervantes Saavadra, the author of Don Quixote, was born in Alcalá de Henares, Spain, in 1547. 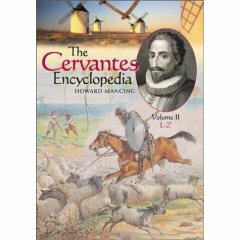 The exact date of his birth is not known but Cervantes was baptised on the 9th day of October. There is a legend that he died on the same day as Shakespeare, but this is not entirely correct. Although the two great authors coincidentally died on the same date, they did not die at the same time. The distinction is due to the fact that Spain and England had not yet adopted the same calendar system and so the April 23, 1616 did occur at the same time as April 23, 1616 in England.